ISBN 978-7-5027-8203-0, published in 2012, hardcover in printed laminated boards, 20 by 29.25 cm., 8 by 11.37 inches, 349 pages, almost every page is a full sized photographic color plate, or SEM photo, or high quality drawing of the mollusks found off China's extensive coast line and faunal provinces. Minimal text in Chinese and English. 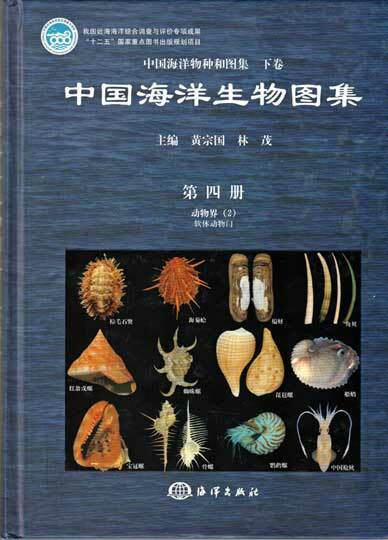 As we have done in the past we continue to add titles our website from among the many books on mollusks that published in China, and that are not generally available to Western readers. 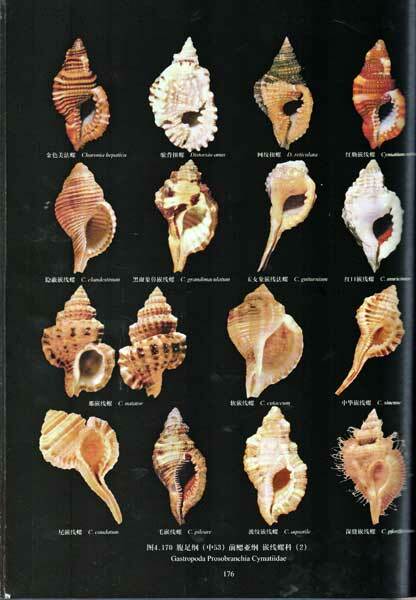 This book is in our opinion, the best iconography we have found on the mollusks found in Chinese waters. 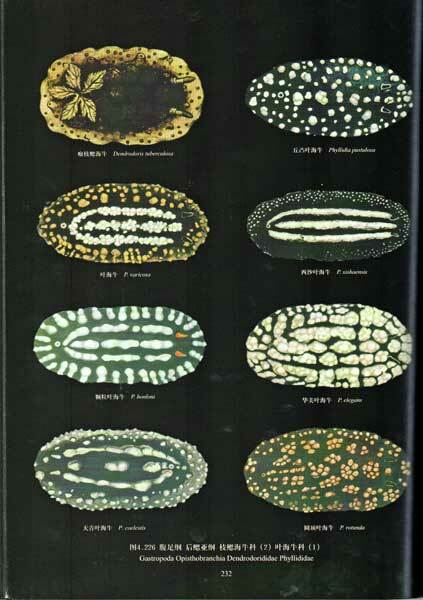 All classes of mollusks, including even an extensive survey of the micro-mollusks can be found in this book. There is only a little in the way of text, but that text is bilingual in Chinese and in English. 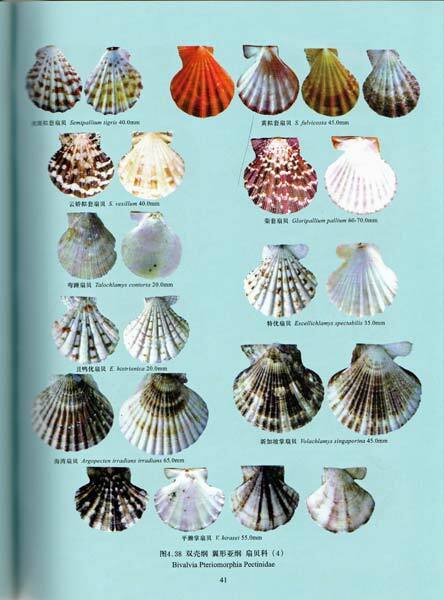 The illustrations are all top quality and there are separate indices in Chinese and in English listing at the generic level the mollusks shown in the book. I roughly counted the generic listings and approximate that there are more than 900 entires in the index. 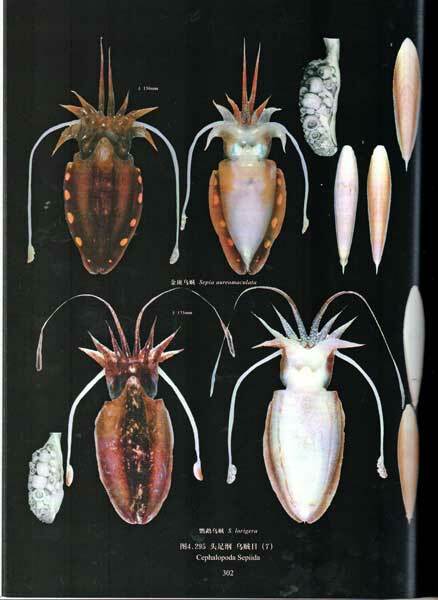 Although there is no information provided about the mollusks I still feel that this book is a superb reference work on these mollusks. It hits one of my "raw nerves" that authors names for the scientific names in this book have been omitted. These are new books but have some slight bumps on their corners from poor packing for shipping and in some copies the plated for the Gastropods were not fully trimmed resulting in some very minor spots where they were separated at the lower right hand edge of the plates. These are cosmetic defects and they do not take anything away for the quality of this book. The book is at a very low price compared to any similar book that could be produced in Europe or in the USA.